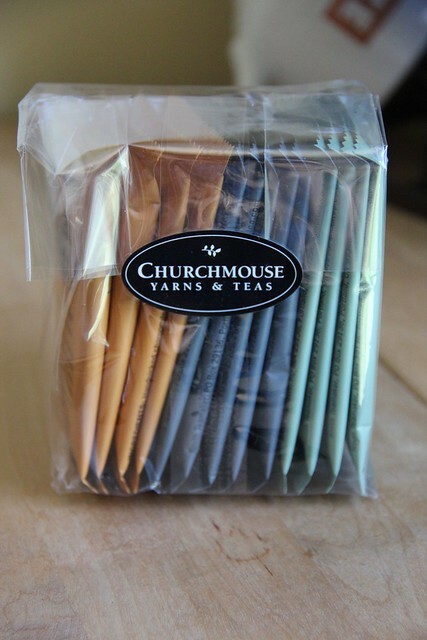 When I placed my last order with Churchmouse Yarns & Teas I was excited to see that they had a Steve Smith Teamaker Sampler. So far I’ve enjoyed the Steve Smith teas I have tried, but it’s always nice to get to try a bunch of teas without buying 4oz of each before you know what they taste like. The Smith Teamaker Sampler is “a thirteen-cup tour of Steve’s best blends” and includes selections of black, green and herbal teas. I’ve already shared a few with friends, but I decided to take the rest of the pack to work and work my way through it. 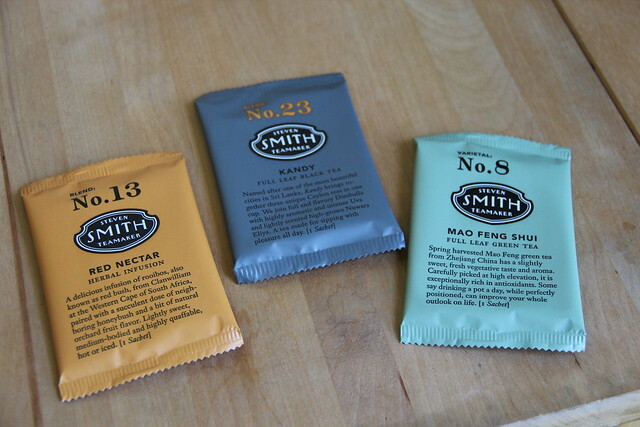 The Smith Teamaker Sampler is available for $14.00. The first tea I decided to try was the Kandy blend. This boasts a blend of Ceylon teas. This one was very mellow and smooth. It was a strong black tea without being bitter. It was a great afternoon treat. The second tea I tried was the Mao Feng Shui green tea blend. This one can potentially “improve your outlook on life.” This one was very light and fresh. I found it a lovely start to my day. Overall, I can highly recommend trying a sample pack. The only problem I have is deciding which ones to order again! Next The Corner of Knit & Tea: Episode 107, Spinzilla Spinapalooza!